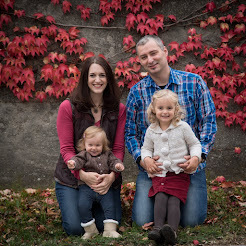 Nate and Bethany Johnson - Serving in Austria: Who Are You? One of my great joys with our daughter recently has been starting the Chronicles of Narnia. It has been so special to introduce her to these beloved characters and stories. We experienced the creation of Narnia. We heard Aslan sing Narnia into being. We watched with Lucy and Susan as Aslan sacrificed himself for Edmund's treachery. Now we are on to one of my favorite stories, A Horse and His Boy. As we were going, an interesting small conversation popped up. Shasta is traveling with Bree the horse, and they meet up with a young girl named Aravis who is also running away. Aravis is a "Tarkheena" which means she is a part of the noble class in the land of Calormen. The book uses the word as though we would know what it means, and our five year old didn't understand it right away. She didn't really understand what a Tarkheena was so after a few mentions, she asked. I explained that it was a part of who she was. Here is where I made a mistake. My response was something along the lines of "she's Calormen, just like you are an American." Now most people that have connections to third culture kids are probably cringing, because her response was "Papa, I'm not an American, I'm Austrian." Immediately I knew that we didn't have time to get into it completely, and also that I'd stumbled into a conversation that we will continue to have for a long time into the future. For our kids the question "who are you" and "where do you come from" will be tricky questions to answer. There are often not easy answers for them, and the best answers are usually in-between. They are in-between in many ways. Our home is a place where we do many things "the american way". Most of her friends are mono-cultural, though we do know some multi-cultural families for sure. There are some Austrian cultural practices we have adopted, some things that we absolutely love and embrace. But there are other things that we will probably never practice, or even things that we are just ignorant about. Everything from how we pack her lunch to what holidays we do or don't celebrate. We live between these two cultures. Another piece to this is faith. Because of the realities of this country, faith plays a different role in our lives than it does in those around us. An Austrian friend illustrated this to me very clearly recently. He told me about how he explains family decisions to his kids. He says, "we believe different things than most other people." I think growing up in a Christian family here has given him a perspective that we need to have, as well. We are between two different worlds related to faith and worldview. Whether that is a nominal Catholic, Islamic, or secular humanist worldview, most of the people we connect with are not coming from the same perspective we are. We are in-between. Ultimately these questions lead to something that many Americans are wrestling with, as well. Many key questions in the culture right now come down to identity. Who are you? We throw labels around and claim them for ourselves. Some try on labels for a while and then discard them if they don't seem to fit. The secular humanist worldview of the culture tells us that we need to discover our identity, or decide for ourselves who we are. You have to go find yourself or listen to your inner child. Who you are is inside you waiting to be identified. This message isn't just from one side of a political isle. It permeates both sides of the proverbial isle, and is usually just a different set of criteria by which that identity must be discovered. They may start at different points and end at different conclusions, but ultimately the basis is the same. You must discover it for yourself, and it lies in you. Here is the challenge - the gospel gives us a different way. It starts at Genesis 1 and says that we are not our own to discover, that the answer is not inside of you the whole time. Our fundamental identity does not lie in passports, group membership or claimed identities. The gospel says that basis of our identity is as creatures created by a holy God. We are image bearers who reflect God's creative glory and beauty. But that image was broken by sin. That sin takes beautiful things and twists them. It elevates creation over the Creator and makes us worship other things. This fundamental identity transcends all others and comes before them. Everything else is subjective to this reality, nationality and culture, physical and emotional. This is the answer to the question, "who are you?" This is also the bridge that brings us together. This is the foundation for human identity. We are image bearers of God and his creatures, created to glorify him. All other questions of identity flow from this and are shaped by it. The question for many of us is which identity am I trying to put down as my primary identity? What is the most important to me? Am I focused on my local sports team? My political team? Or even my passport identity? What would it look like for me to focus on my identity in Christ as his child above all other identities? What would it mean for me to subordinate all of my other identities to that fundamental identity? It means allowing those other parts of me to be transformed and influenced by my position in Christ. It means we hold to other identities looser than we hold to our identity in Christ.